Regal Group (Hereafter; Group) Consists of seven companies namely, Regal Motors (Pvt) Ltd, R M Traders (Pvt) Ltd, Regal Ruk (Pvt) Ltd, Real Estate and Property Development, Regal Investments (Pvt) Ltd Regal Filling Station (Pvt)Ltd and Regal Motors (Spare Parts Retail/Wholesale). The group is diversified into several industries to maintain steady growth, stability and liquidity. 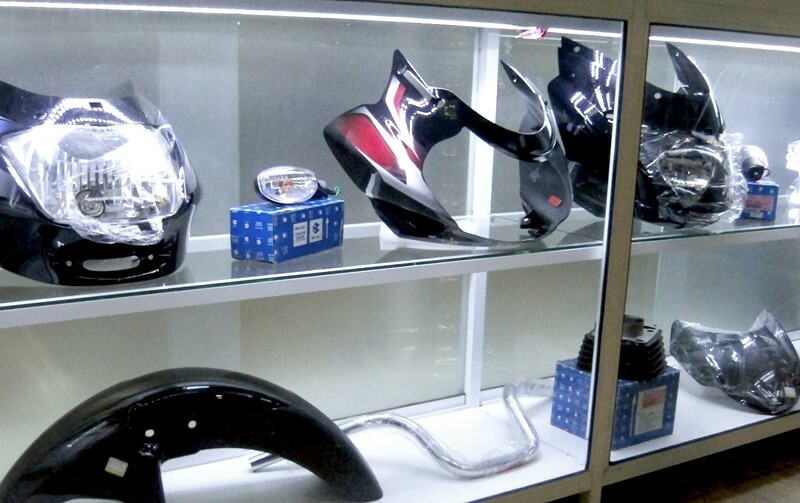 R M Traders (Pvt) Ltd was incorporated in 2006 and operates as the trading arm of the Regal Group for Honda RM Traders is awarded the dealership for Hero Honda motor bikes for spare parts sales and motorbike services as well. RM Traders Services 350 Motor Ms per month. Honda Dealership: R M Traders (Pvt) Ltd was also awarded the authorized dealership by Stafford Motor Co. (Pvt) Ltd for Honda Motor Cycles in Kochchikade, Negombo, Ja-ela, Dankotuwa, Katana towns and suburbs. The company’s performance as the dealer was remarkable in terms of recorded sales in the Western Province. RM Traders was awarded the best dealer in the Western Province in 2010 outperforming the dealers in the province closer to Colombo although having its office over 35kms away from Colombo. Regal Ruk (Pvt) Ltd is yet another business venture incorporated by the Regal Group in 2006 with Board of Investments (BOI Sri Lanka) approval for projects initiated in areas with very less infrastructure facilities. 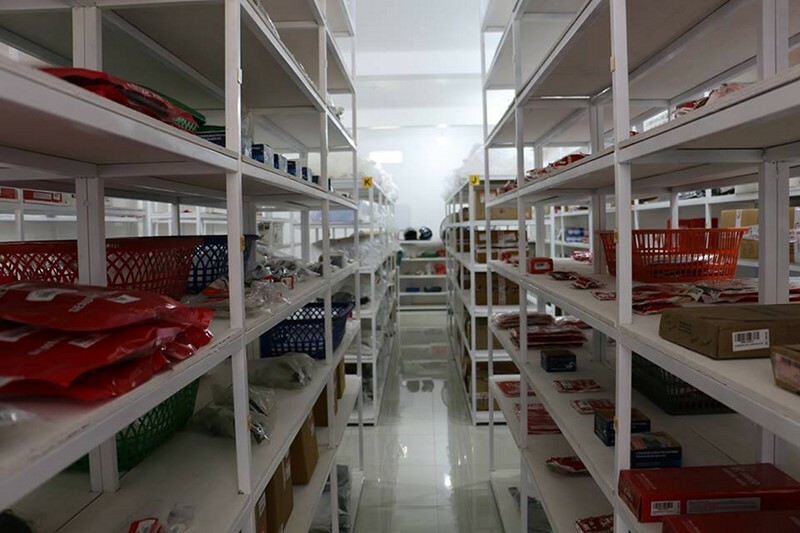 Regal Ruk manages an agricultural project in Anamaduwa in the Puttalam District. The main crops are Teak, Cashew, Coconut and Fruits. Eco tourism and fresh milk production are also on the cards to go along with this project. The total land involved in this project is 100 acres. Regal Group’s contribution towards renewable energy is well proved with its Bio Gas Unit developed within the estate property. The gas generated from the Bio Gas Unit is used for cooking for the estate workers and the waste is used as fertilizer for the plantation. 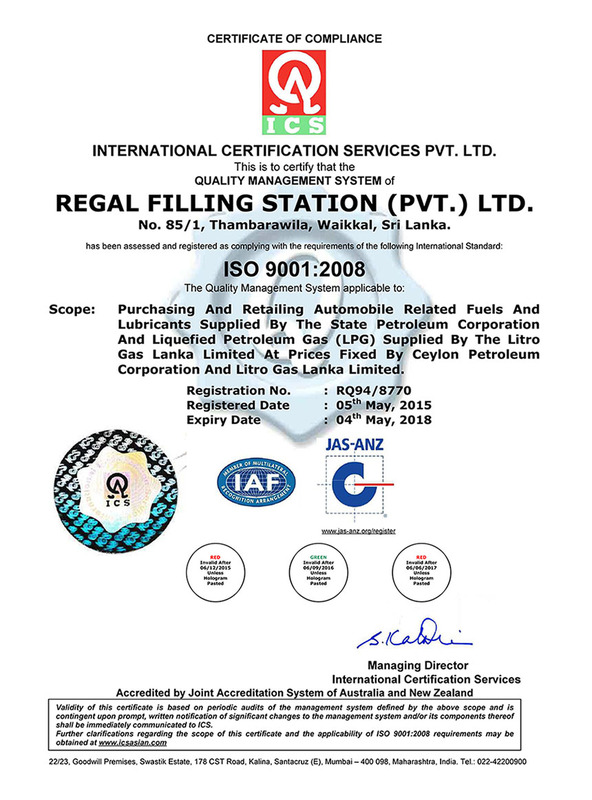 The Management and Staff are pleased to announce that Regal Filling Station - PVT LTD has been awarded ISO 9001:2008 certification, also the first and only ISO Certified Filling Station in Sri Lanka. The real estate arm of the Group acquires and develops properties, construct buildings, and lease out properties as the main business. In addition, the company also undertakes land development related projects which involves earth moving machinery. We have offered the services of our fleet of heavy machinery in various mega development projects all over the Island in the past. Coconut Cultivation: 25 Acre coconut land owned by the company in Pallama, Chilaw generates high returns as against the investment. The leasing and hire purchase arm of the group, Regal Investments (Pvt) Ltd incorporated in 2004; engage in providing easy payment schemes to the buyers of Loncin, Honda products, etc. Regal Motors, a sole proprietorship under the Group Chairman, imports, sells and distribute spare parts of all motorcycle brands, combine harvesters, on wholesale and retail basis. The distribution to the dealer network is carried out through courier services and own vehicles dedicated for distribution of spare parts throughout the country. Regal Motors deviate into Automotive dealership importing brand new and reconditioned vehicles from reputed countries through reliable dealers. All vehicles imported by Regal Motors are hand picked with personal supervision. The Autodrome is situated in the Regal Fuel Station the multifaceted facility in Kochchikade, on a spacious environment. Regal Motors offer premium quality vehicles at affordable prices and give prompt service to their clients in keeping with the outstanding tradition of Regal Motors. The Automotive Division is managed by an efficient team backed with expertise, comprehensive web marketing and social media solutions.